Lynn Meltzer, Ph.D. is the President and Director of Research at the Research Institute for Learning and Development (ResearchILD) and Director of Assessment at the Institute for Learning and Development (ILD) in Lexington, MA, U.S.A. She is also an Associate in Education at the Harvard Graduate School of Education and a Fellow and Past-President of the International Academy for Research in Learning Disabilities. For 29 years, she was an Adjunct Associate Professor in the Department of Child Development at Tufts University. Dr. Meltzer is the founder and Chair of the international Learning Differences Conference, now in its 31st year at the Harvard Graduate School of Education. Her 35 years of neuropsychological evaluations and clinical consultations with children, adolescents, and adults have emphasized the theory-to-practice cycle of knowledge. Her recent work, together with her ResearchILD colleagues, has centered on the development of SMARTS Online, an evidence-based executive function and peer mentoring/coaching curriculum for middle and high school students. 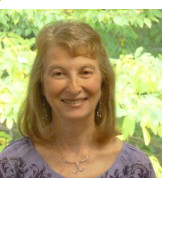 Her extensive publications and presentations include articles, chapters, and books, most recently, Executive Function in Education: From Theory to Practice, 2007, Promoting Executive Function in the Classroom, 2010, and The Power of Peers in the Classroom: Enhancing Learning and Social Skills, 2015, co-edited with Karen Harris.